In the mid-16th century, Portuguese historian Diego de Couto wrote what is now considered the earliest account of the Angkor Archaeological Park. His writings thereby helped subsequent Western explorers to discover the complete ruins of the majestic temple complex. 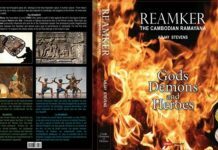 Today, five whole centuries later, Siem Reap, the town that houses the Angkor complex, is a world-famous tourist destination. 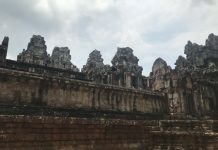 While the temples stand as a testament to the rich cultural traditions and history of Cambodia, I realised that not much of the same reflects on the main roads of the tiny town of Siem Reap. I was on holiday in Cambodia recently, if you haven’t guessed that by now. I strongly believe that learning about the cuisine and the sources of economy of a place are quintessential in understanding the people and their lifestyle. Hence, the first things I look for when visiting a new place are local food and handicrafts.